Yarrow (Achillea) is an easy-to-grow perennial known for its long-blooming qualities. Some varieties bloom from late spring well into fall, but most are reliable summer bloomers. Gardeners appreciate yarrow for its staying power and its distinctive, flat-topped clusters that bloom in yellow, white, red or pink, depending on the species. Its delicate leaves are fern-like. Yarrow is a long-blooming perennial. Yarrow is hardy in U.S. Department of Agriculture zones 3 through 9. 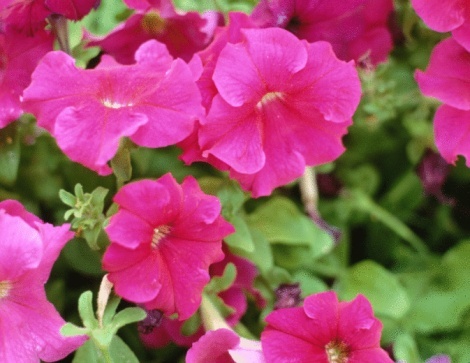 It thrives in full sun and tolerates drought and dry soil. The plants can grow 18 to 60 inches tall and 18 to 36 inches wide. Rabbits and deer won't dine on yarrow, but it does attract butterflies and other beneficial insects to the garden. Native to Europe and Western Asia, yarrow has been used as a medicinal herb throughout history. It has been used to heal wounds, relieve pain and reduce fevers. These days, it is much more likely to be found growing in a flower garden. The flat clusters of yarrow flowers are called corymbs. These have long been used for dried flowers because of their ability to hold their color and shape. Yarrow first blooms in late spring or early summer. Many species will continue to bloom intermittently into fall. One example is Summer Pastels Mix (Achillea millefolium), which blooms in shades of red, pink, lilac and salmon from summer through early fall. Moonshine has sulphur-yellow flowers that bloom all summer. Sneezewort (Achillea ptarmica) has pure white flowers that also bloom all summer. Extend the bloom time of yarrow by regularly deadheading. This will encourage the plant to rebloom in about a month. These hardy perennials need little care and don't require fertilizing. They grow in dry and sandy soil, and even tolerate dry slopes. Divide yarrow every three to five years. Space the plants 2 to 3 feet apart so they have room to spread. Does Creeping Jenny Grow Indoors?